Rwanda and will for generations to come. One of our pressing goals is to bring safe water to the village people who will no longer have to hike steep hills to fetch their daily water supply. 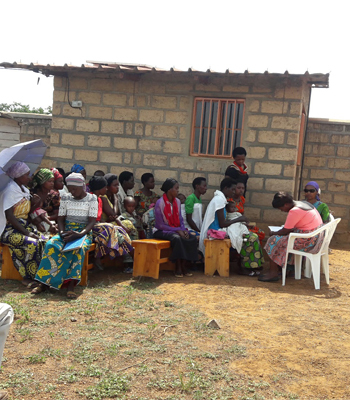 Nibakure “Community” Village (NCV) will strengthen community capacity, serving as a bridge for empowering vulnerable youth and illiterate adults (parents) in Kanazi, Nyamata, Bugesera District, Rwanda. We envision a Nurturing and Allied Kanazi (Nyamata) community that sustainably cares for and invests in its youth and uneducated adults (residents), contributing to a vibrant and prosperous Rwanda. We work hard to incorporate as much local “man-power” as possible. We have partnered with a local women’s co-op to complete some of our sustainability projects! and men to do some of the tasks like night work (guards). Nibakure Community Village See what people say about us! The vision for Nibakure Community Village (formerly Nibakure Children’s Village (NCV) began in the heart of Floriane Nibakure, a native of Rwanda. Her difficult childhood, including separation from her biological mother at just a few months old and abuse by stepmothers, often left her feeling like an abandoned child. 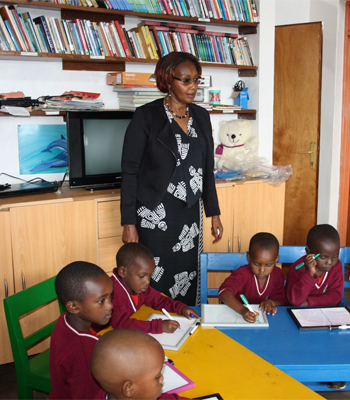 Although she immigrated to the United States in 1988 and raised a family here, Floriane continued to feel a connection to–and compassion for–the children of Rwanda. 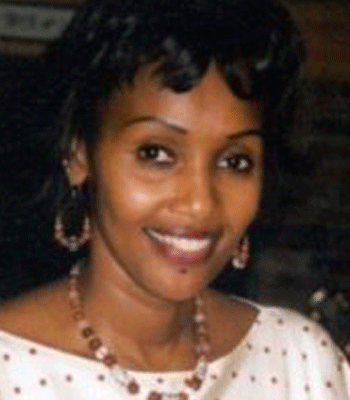 Floriane is a native of Rwanda and has lived in the US since 1988. 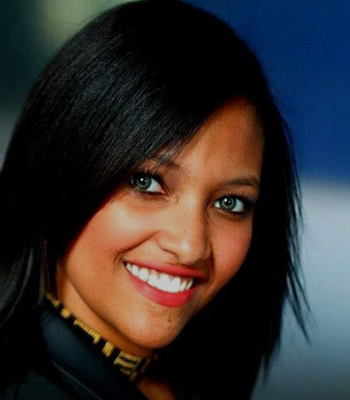 She is fluent in Kinyarwanda, French and English and proficient in Swahili. 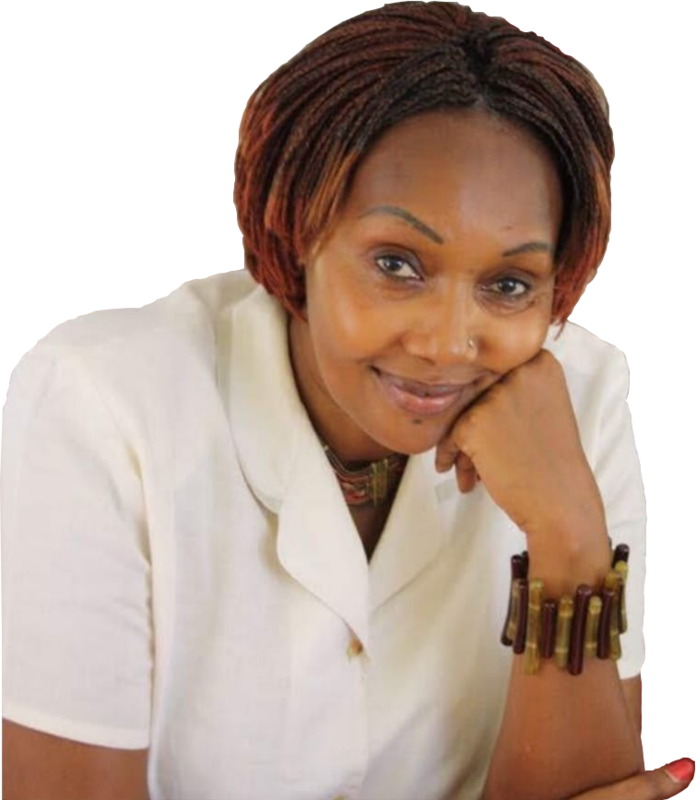 Floriane has attended school in Belgium; has worked as a radio broadcaster; as a freelancer for UNDP and UNICEF; and worked as an English teacher at the American Embassy in Rwanda. In the US, she has worked for Pillsbury (now General Mills); the US Embassy in Ouagadougou; 3M; St. Jude Medical; St. Paul Companies and RBC Dain Rauscher. Mary Beenken is a pastor in the Evangelical Lutheran Church in America (ELCA) and currently serves as co-chair of the NCV Board of Directors. She graduated with a Bachelor’s Degree in Writing from Concordia College (Moorhead, Minnesota) in 2012 and with her Master’s of Divinity from Luther Seminary (St. Paul, Minnesota) in 2017. 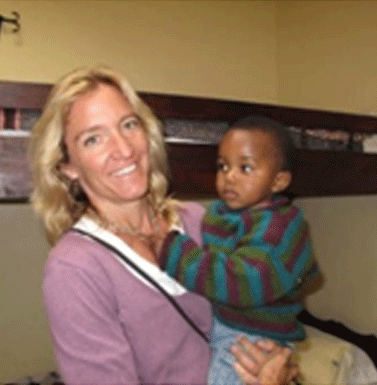 In 2010, Mary spent a summer as an English teacher in Rwanda, which sparked a lifelong love for the country and its people. Kabby is a high energy, results-oriented IT services leader and relationship builder who’s had progressively increasing responsibilities across a number of disciplines – Global Service Desk Startups, Managing Teams, Mentoring Teams, Process Improvement, Diversity & Inclusion initiatives, System Upgrade coordination, and Training. She provides smart, efficient solutions to challenging business problems. 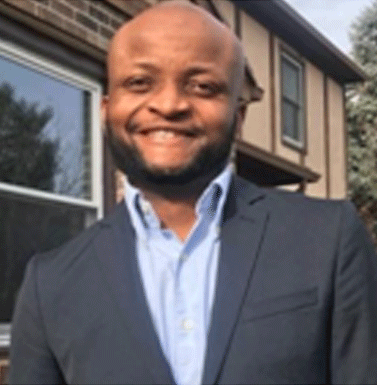 Arnaud Muhimpundu is a Supervisor of the Comprehensive Clinical Assessment Program at St. Vincent Catholic Charities and currently serves as the Vice Board Chair for Nibakure community Village. 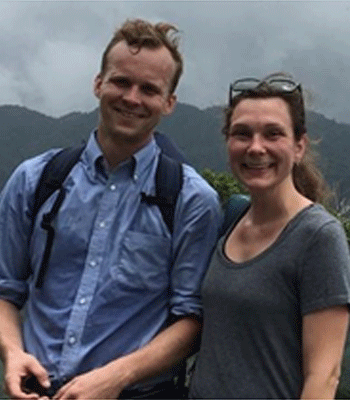 Arnaud graduated in 2018 with a Master’s Degree in International Development from St. Mary University in Minnesota. Clint Robins is the son of Floriane Nibakure, the founder of Nibakure Community Village (NCV). Clint currently serves as the Secretary on NCV’s Board of Directors and joined the board in 2016. 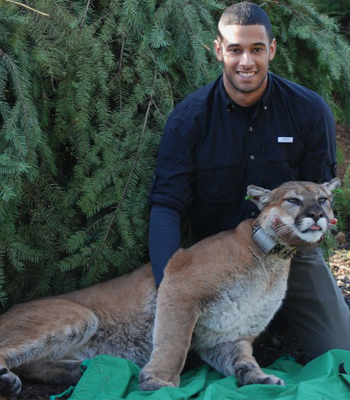 Clint is a Ph.D. student in wildlife ecology at the University of Washington (UW) based in Seattle, WA. Clint received his M.S. in wildlife ecology from UW and received his B.A. in biology and environmental studies from Williams College. 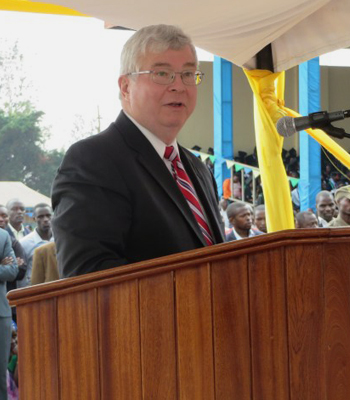 Steve Noah, a native of Charles City Iowa and a graduate of Wartburg College in Waverly Iowa is widely recognized for his work in economic development, politics, entrepreneurship and international trade. He served as the Vice President for Government Relations and Special Projects at William Penn University in Oskaloosa, Iowa, as well as a partner in Iowa International Minerals LLC, and as an associate of The Clark Group, now Vela Environmental LLC in Washington, D.C.
Kim Raymond is a licensed architect that owns a boutique Architectural and Interiors firm in Aspen, Colorado for the past 27 years. She is NCV’s architect, providing countless hours of consultation. She has worked passionately with the other members of the NCV Board and the staff ‘on the ground’ in Rwanda from the beginning; and with the Rwandan architect Straton Nizeyimana. 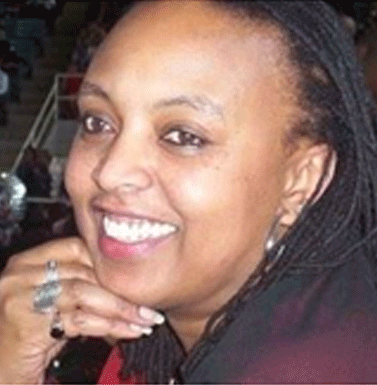 Elsa Robins is the daughter of the founder of NCV, Floriane Nibakure. Elsa is a Digital Media Specialist at the University of Wisconsin – Superior in Northern Wisconsin. She is a former TV news reporter and anchor in Wisconsin and Minnesota. She is a graduate of the University of Wisconsin – Madison, where she received her Bachelor of Arts in the Communicating Arts with a focus on radio, television, and film. 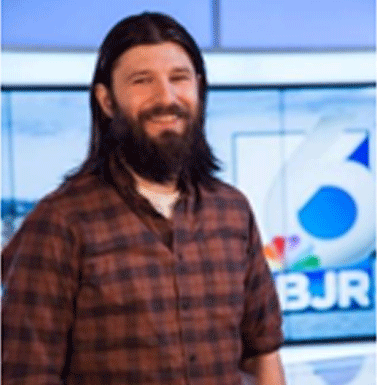 Billy Wagness is currently an Executive Producer at a Duluth, Minnesota-based TV news station. Billy is a graduate of the College of St. Scholastica in Duluth, which is also home to the Monastery of the Benedictine Sisters. There, he received his Bachelor of Arts in Communication, with a focus on mass media, journalism, and a Minor in English. The partnership of these generous organizations supports our continued success. The Rwandan government signed a deal to cooperate with the company Zipline based in the United States.